Bethlehem Centers of Nashville is one of 14 Family Resource Centers supported by United Way of Metropolitan Nashville. Bethlehem Centers of Nashville "Lives United" by serving as a community resource and safe haven for thousands of children, youth and adults in Middle Tennessee every year. BCN offers top-rated, fully accredited child care; nationally recognized youth programs; and effective community outreach initiatives to help our clients achieve their goals and reach the next stage in their lives. I donate to United Way via payroll deduction from my job. I donate to United Way via payroll deduction from my job. Since I work at a Hospital that uses a lot of toner cartridges I have pulled together a gathering location and I take all the used cartridges to a locate day care thatgets paid for recycling them as as part of their United Way fundraising responsibilities. I live united by not only donating bi weekly through payroll deduction, but by also taking time out help build a better community through volunteering with Girl Scouts, local youth sports leagues such as softball, basketball,and soccer. Also participating in other charitable groups such as March of Dimes, Salvation Army Angel Tree, Change Bandits, etc. Donating my time is just second nature me, it isn't a chore it is just fun to meet new people and have great experiences. I lived united by volunteering around my community although I cant do payroll reduction or anything, since I'm a teen. I do try my best to volunteer in youth camps as well as help in health centers. I understand the importance of living united and believe in the United Way. I understand the opportunities and resources it provides our community. 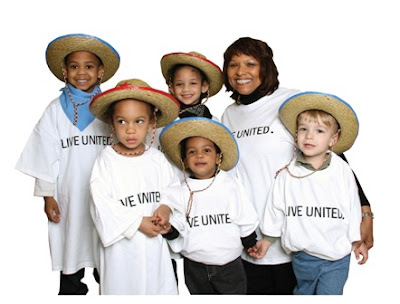 I "Live United" by doing my fair share and actively support my Firm's United Way involvement.